Everything Summer Camp: The place to get your camp supplies fast! Home > Blog > Everything Summer Camp: The place to get your camp supplies fast! The end of May is near and camp is right around the corner which means that if you’re not ready for summer camp, it should be at the top of your “to do” list to finish preparing. Keep in mind that Everything Summer Camp is here as your one stop shop since we truly have everything you will possibly need for summer camp. Do you feel like you’ve pushed it too far and that now it’s too close to the first day of camp? That’s what we’re here for. 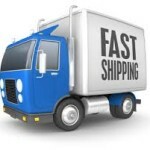 We can ship your order fast! Everyone here at Everything Summer Camp is well aware that summer camp doesn’t start June-ish—it’s a very specific date and we have just one shot at getting your child to camp fully prepared. We understand how waiting until the last minute happens for people. We know how busy life is. On top of everything in your life, your kids’ school is wrapping up and they’re home with you all day again. We know how easy it is to push off purchasing your kids’ camping gear. But when you order through Everything Summer Camp, I can assure you, you have absolutely nothing to worry about. Our competitors don’t seem to see anything wrong in making you place your order an entire month in advance. Or, if it’s not that, they just empty your wallet and still ask for an arm and a leg in order to ship your gear to you on time. But that doesn’t seem right to us. At Everything Summer Camp we stock all products or make them in-house so your entire order will ship in days not weeks. So go ahead and wait! You’ve got time. Just make sure that you order through Everything Summer Camp to get your camp gear for a decent price and quickly. THIS JUST IN: What’s better than Fast Shipping? Fast & Free Shipping. For Memorial Day Weekend Everything Summer Camp is offering FREE UPS Ground shipping when you order any Camp Trunk or Pop Up Soft Trunk. Sale ends Tuesday 5/28 at 1pm EST.